Ray is a young inventor living in bustling London. On the eve of the inaugural World Expo, a huge fair to demonstrate the latest technological developments, Ray recives a fateful package. It contains a “Steam Ball,” a remarkable invention that provides an enormous amount of motive power. The device was sent from the United States by his grandfather, Lloyd, to keep it out of the hands of the O’Hara Foundation. Agents of the O’Hara Foundation pursue Ray in a desperate effort to acquire the Steam Ball for their own nefarious schemes. 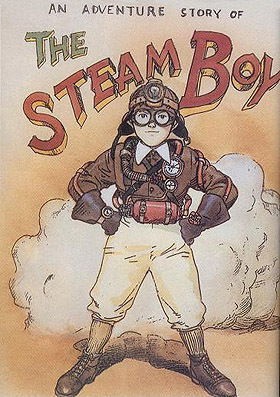 During Ray’s efforts to keep the Steam Ball out of evil hands, he utilizes the power it generates to propel such items as a flying backpack (seen right in a preproduction drawing by Ôtomo). This is the most elaborate and expensive animated feature ever produced in Japan. It took ten years to make, and it’s the only major project Ôtomo has worked on since he made Akira! The film was apparently inspired by early pulp stories starring characters like inventor Frank Reade. 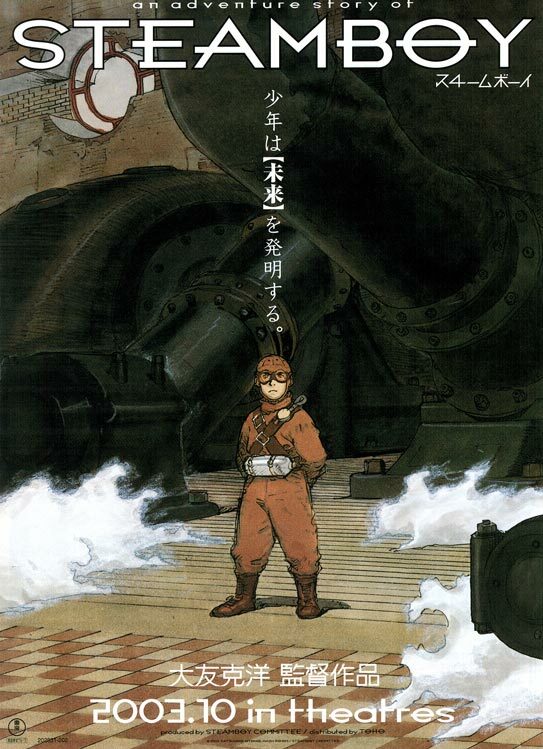 I share Ôtomo’s fascination with those stories, especially the Steam Man tales. See the Victorian Robots section of this site for more source material. 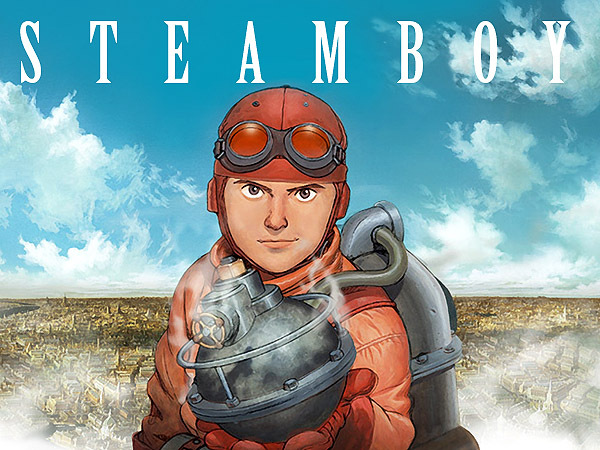 Visit the official site: www.steamboy.net and see the trailer! This is THE preeminent web source of information on 19th-century robots.